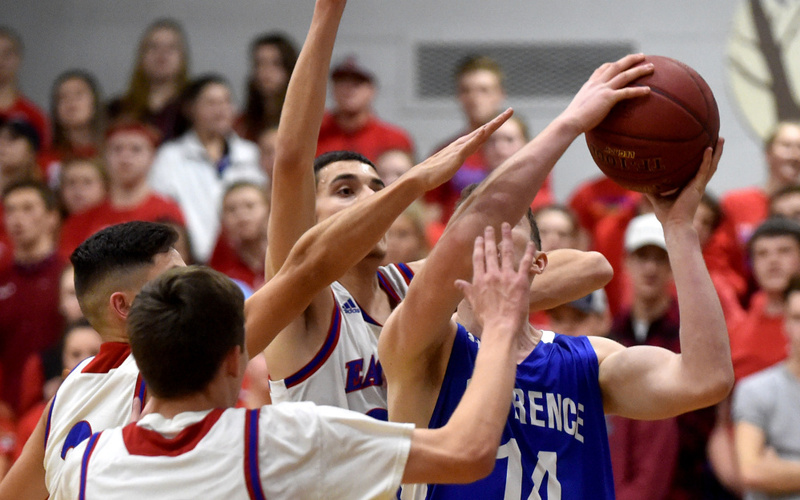 Eagles upend Lawrence in KVAC A opener. OAKLAND — If opening night is a preview of the season to come, fans of the Messalonskee High School boys basketball team have something to look forward to. 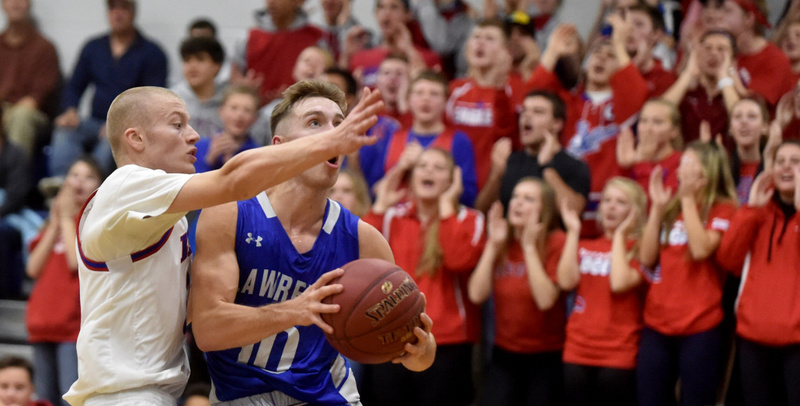 On Friday night, against rival Lawrence, the Eagles got out and ran. 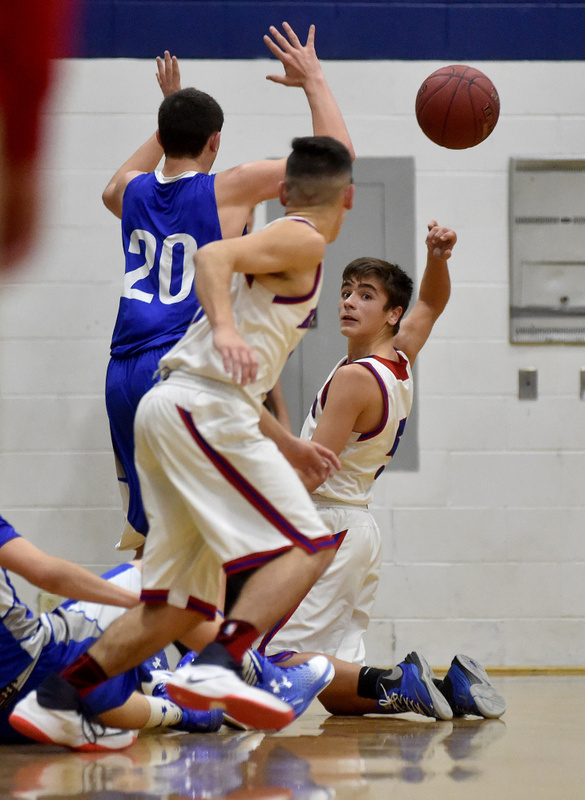 That transition offense helped Messalonskee build a 12-point halftime lead, on the way to a 62-49 win in the Kennebec Valley Athletic Conference Class A season opener for both teams. “At the beginning of every practice, we start out with a transition drill to get the ball moving. That’s a core part of our offense. 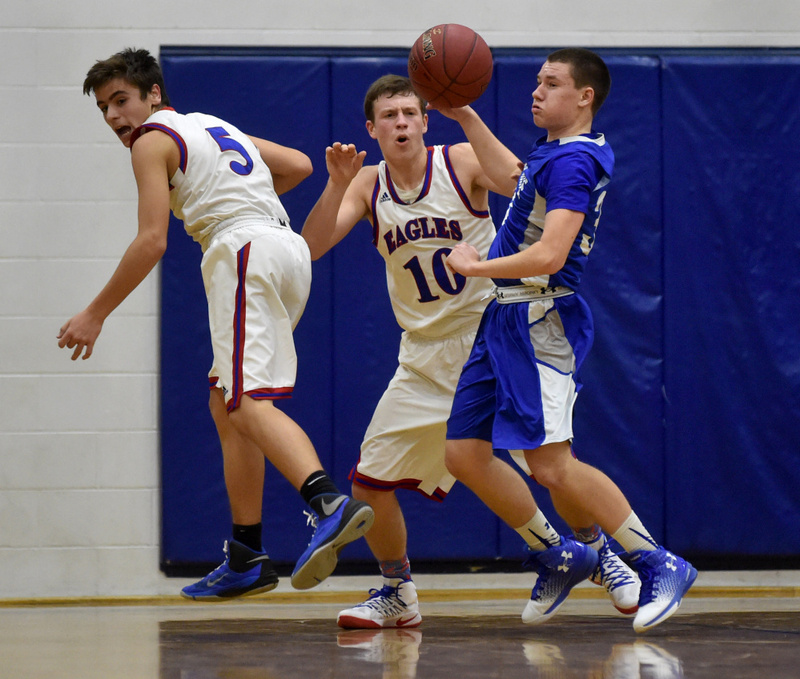 That was really evident when we play,” said Messalonskee senior guard Nate Violette, who scored a team-high 21 points. The Eagles started moving right from the opening tip. Passing the ball well, Messalonskee repeatedly found the right man open for a shot. Messalonskee led 34-22 at the half, and scored two quick baskets to open the third quarter. By the end of the third, the Eagles had pushed the lead to 21 points, 50-29. Messalonskee showed some scoring depth, particularly in the third quarter, when Violette sat for more than five minutes after picking up his third foul. Senior guard James Kouletsis started a 10-2 Eagles run with a 3-pointer, and Chase Warren nailed a three during the run as well. “(Violette’s) our top scorer, no doubt about it, but we have other guys who can hit shots, and we showed it during that stretch,” said Kouletsis, who scored 14 points and grabbed a game-high 12 rebounds. Messalonskee led by as much as 24 points — early in the fourth quarter — but the Bulldogs rallied to tighten the score. 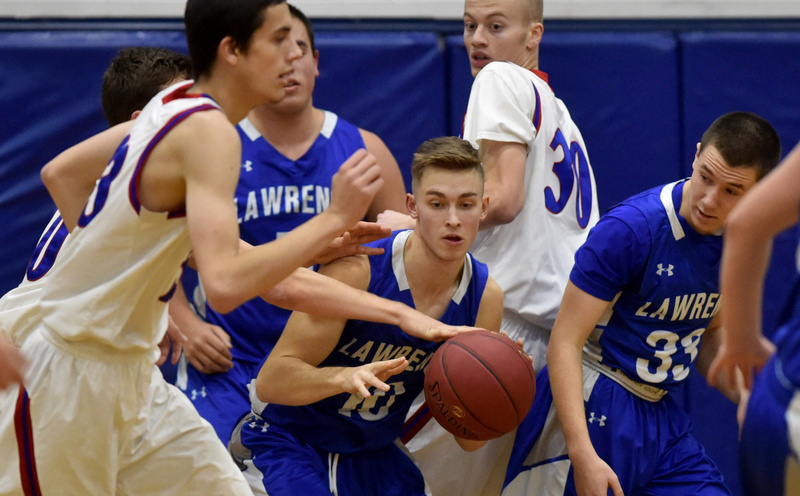 Senior Mason Cooper scored eight of his game-high 23 points in the fourth quarter for Lawrence. 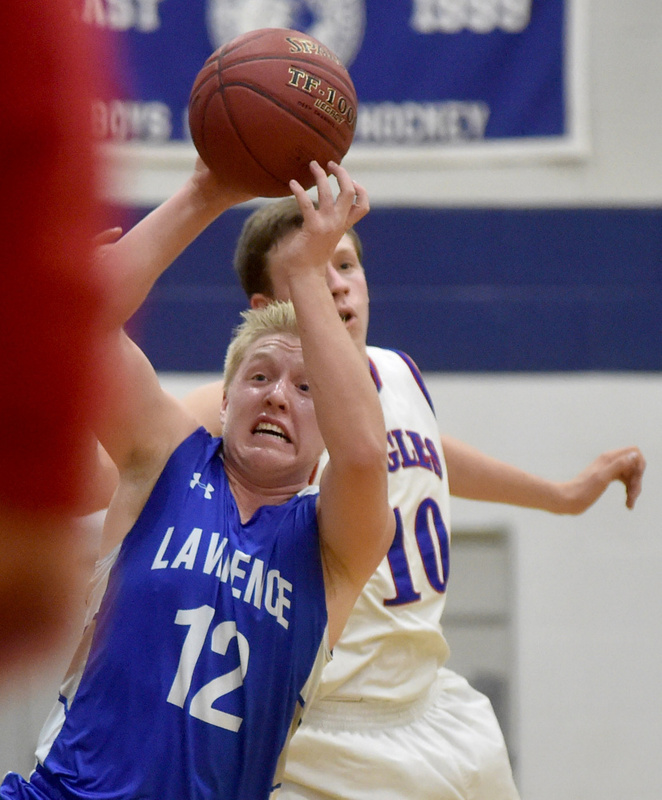 The only returning starter for the Bulldogs, Cooper was the lone Lawrence player in double figures.